Saint Gemma is commonly considered the Patron Saint of Pharmacists, loss of parents, those suffering with back illnesses, back injury or pain, those struggling with temptations and those seeking purity of heart. The following are explanations of why she is the patroness of each. Patron Saint of those suffering with back pain, spinal injury or illnesses.Beginning in early 1898, Gemma became seriously ill with what was believed to be spinal tuberculosis. 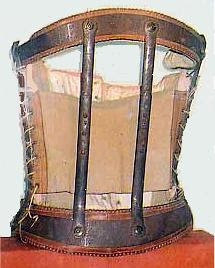 Not only did her back pain become severe, it also became necessary for her to wear an iron back brace (see photo of Gemma's back brace above), and as the disease progressed, she eventually became completely bedridden, being able to move only her head and arms. This spinal diseased progrssed for about one and a half years, until her miraculous cure on March 3, 1899, after making a Novena to the Sacred Heart of Jesus. “Already for a long time I had felt pain in that part, but I did not want to touch it or look at it, because when I was a little child I had heard in a sermon that our bodies were the temples of the Holy Ghost. These words impressed me, and so far as I have been able I have carefully guarded my body. What agony I suffered when I had to submit to a medical examination. Every time I heard the doctor coming I used to cry. " But since Gemma's back condition was continually growing worse she could no longer hide it. She was now subject to violent headaches. She became deaf. Her hair fell out, and her members became paralysed. The doctor was sent for. Her Aunt, Elisa Galgani made good use of the authority she had over Gemma, for she knew that her desire to be obedient was the only means of overcoming her repugnance to seeing a doctor. At his first examination, Dr Del Prete found that Gemma had an advanced abscess in the lumbar (lower back) region, which seemed to communicate with the spine. To make sure he decided upon a consultation, and the result was a verdict that she was suffering from tuberculosis of the spine -a serious disease and very difficult to cure. The first abscess was followed by another. It was lanced again and again and medicated glycerine injected into it. When Gemma heard that among other remedies the doctor intended to try the cauterizing iron, she asked him smilingly as if the question referred to some other person: 'Doctor, are you going to do the cauterizing?' During that operation the patient, as is easy to understand, suffers a great deal, but on the testimony of the doctors Gemma never uttered a word, and bore the pain calmly and almost with indifference. ‘Through her illness she was, as it were, rigid. She could raise only her head and shoulders a little. She used to say to me: " See, I am crucified; I cannot move." But nevertheless she never uttered a word of complaint. She was always jovial, smiling and peaceful. It seemed to me that she had a most extraordinary resignation. She had her Rosary or a holy picture always in her hand or under her pillow. Even the family seemed peaceful, because Gemma was so calm. Sometimes when I was leaving the house, they said to me: "Isn't Gemma remarkably resigned?" "I sent for my confessor and went to Confession. The next morning I recieved Communion. What happy moments I spent with Jesus! He kept repeating to me, Gemma, do you wish to be cured?" I was so moved that I could not answer. Poor Jesus! The grace had been given. I was cured. "My daughter" Jesus said, embracing me. "I give myself entirely to you and you will be entirely mine"
On that morning, she left her sick bed for good, however, her spine and the surrounding muscles were not completely healed, and she continued to wear the iron back brace for two more months, until God in His goodness and mercy, chose to cure her completely. Concerning this, in her Autobiography we read that two months after her miraculous cure, thus no longer bedridden and able to walk, she made a retreat with the Visitandine Sisters (Nuns of the Visitation of Mary), hoping to obtain admission as a Nun in their Order. Therefore, those suffering from back pain or back injuries have a most compassionate and understanding patron and friend in Saint Gemma! "Oh Father, what terrible temptations these are! All temptations are painful, but these against holy purity torment me the most! What I undergo is known only to Jesus, who secretly guards me and He is pleased with me." "....But to come to heaven requires purity of heart; give it to me, my Jesus....Yes, I so desire purity of heart!" In her childhood, Gemma’s saintly mother Aurelia taught Gemma to say 3 Hail Mary prayers, kneeling with her knees on top of her hands, while praying to the Blessed Mother for purity. Gemma continued this pious practice until her death. She is also the Patron Saint of Orphans (loss of parents) because her mother (Aurelia) died when Gemma was only 8 years old, and her Father (Enrico) died when she was 18, leaving Gemma and her remaining brothers and sisters orphaned and in poverty –the poverty due to her fathers illness prior to his death.. Finally, St Gemma is the Patron Saint of Pharmacists because her Father Enrico was a Pharmacist, and supported her and her family in this occupation until his early death at age 57. Those who suffer with back pain or spinal injuries may be inspired to read here of a recent grace given to a back injury sufferer who received the heavenly help and intercession of Saint Gemma. Thanks for more wonderful insight into St. Gemma. I pray that many people will find this site and be inspired by the truly extraordinary St. Gemma. What a powerful intercessor she is for our uncertain times! Thanks so much for your kind comments. Thank you for sharing with us another wonderful saint who can intercede for us. I have suffered lots of back pain for about 40 years. The Lord healed me of many infirmities--PRAISE GOD! But the back pain He did not remove. I call it the "thorn in my side," taken from St. Paul's references to the thorn in his side. And as a good Catholic, I offer it up daily for many intentions. I know God uses my discomfort and pain. I will ask St. Gemma to be our family's patron, as we also have a pharmacist in our family, who has been practicing for just a year. And, of course, her intercession for purity is equally important. God bless you and all those who read this blog. Jesus love you and Mother Mary keep you! It must have been Divine Providence that I followed a link from Spirit Daily to this page a few minutes ago, because I too suffer from back pain, as well as tempatations against purity. I will now add St. Gemma to my list of patron saints who can help me come to terms with God's plan for me. I had no sooner gotten off the phone w/my daughter who is suffering immensely these past few days w/severe & disabling spinal pain when I came to my computer to look for an e-mail & there was the link to St. Gemma from my brother who lives in Oregon! He didn't know of my daughter's extreme back pain, but, SOMEONE did & prompted him to send this to me! I will pray to dear St. Gemma to heal my daughter, if it is in Our Lord's Holy Will. Thank you, St. Gemma and dear brother John!!!! My prayers are with each of you and your loved ones. May God be with you and draw you ever closer to Himself, and may Saint Gemma be your special friend and advocate in your trials and sufferings. Back pain affects many across the globe, and can be quite debilitating as it affects not only our jobs and daily lives – but also our outlook on life and ability to enjoy our friends and family! Thank you for sharing with us another wonderful saint who can intercede for us. It is very true that sadly there are so many back pain sufferers throughout the world. This is why I was happy to encourage others through this article to pray to Saint Gemma to help them with their back pain, given that she too suffered from inetense and debilitating back pain. Having thus experienced a severe spinal disease, surely St Gemma is an extraordinary advocate with God for those with back injuries or illnesses. St Gemma, the patron saint of back injuries, pray for us! Be assured of my prayers for your son Jon and his back problem. I pray that God may guide the both of you regarding the possibility of surgery, and may St Gemma be your special advocate. Im thinking about choosing saint Gemma for my confirmation saint because I to suffer cronic back pain. It is nice to meet you. Thanks for your comment. I think that St Gemma would be an excellent choice for your Confirmation Saint. Certainly, she can very well sympathise with your chronic back pain, having thus experienced severe back pain herself for quite some time. Then too, her intense devotion and love for God is an example and model for us all. Also, surely St Gemma can obtain for us many spirtual and physical graces that we need and desire from God. She offers up to Jesus the tender and constant love that she bore Him while she was here on earth, and even moreso now that she is united with Him in heaven, and thus she can obtain for us many graces. St Gemma is a blessed friend in heaven and a extraordinary advocate wih God. May God bless you and may He draw you ever closer to Himself. I am a recent convert (about a year and a half ago) and love our Church. St. Gemma has given me great hope this morning, as I have asked for her prayers for my father and that through her intercession I might gain an opportunity to witness to him the Catholic faith. I'm excited to learn more about her. Thank you for sharing her with us. I am really glad to hear of your recent conversion. I pray that St Gemma may intercede for your father. As you probaly know, St Gemma's feastday is coming in less than 2 weeks--April 11th--Divine Mercy Sunday 2010, so this is a really good time to ask her for her help and intercession. I hope you and yours have a Blessed Easter in the joy of the Resurrection. My 16-year-old niece has suffered a devastating spinal cord injury, and we are praying for her to come back to us. Please keep her in your prayers. We will be calling on Saint Gemma for her help. I am very sorry to hear of your niece's severe spinal injury. I unite with you in prayer to Saint Gemma asking her intercession and help for your niece, that she may obtain healing and strength from God. Just a few minutes ago I received an email from someone who was diagnosed awhile back with cancer, and from that very day he immediately prayed to St Gemma asking for her help and intercession. He has gone through the usual treatments and today the physician has confirmed that he is cancer free. 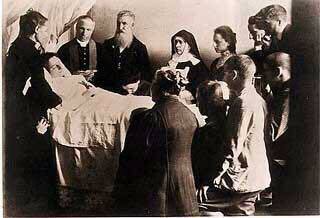 Now, whether this is miraculous or not, God alone knows, but he attributes his healing to Saint Gemma. I mention this because this story came into my inbox at the same time as your prayer request above. In closing, I will be sure to pray for your niece. -Perhaps you can post her first name here, so others can join in prayer? Hi,I just came across this site because my best friend Barry has a very serious vertebral disease,which I found out about today.I'm going to pray to St Gemma for him and ask her if she would heal him.The operation he must have could leave him crippled,so,I'm naturally worried for him.He has also been in a lot of pain.Is there any special novena to say to St Gemma,or does it matter how you pray to her? It is nice to meet you. It is good to hear that you are praying for your friend Barry. I join you in prayer, asking God through the intercession of St Gemma, to heal him of his spinal problem. Concerning special prayers, well of course the best prayer is from the heart. However, you mention a novena. Well, St Gemma herself was cured of her spinal disease after making a novena to the Sacred Heart of Jesus. You can read about Gemma's miraculous cure here (if you have not already). So, you could make a novena for Barry if you would like. 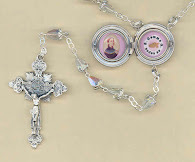 I have a novena to St Gemma on this website...you will see it on the "prayers" section on the right side of the page. Whatever you do, the important thing is to pray from your heart, and God will surely hear your prayer and He will answer it according to His holy will. Countless people have discovered that often a simple prayer to God can obtain an extraordinary grace. I pray that St Gemma may obtain from God an improvement in your back condition. And may she help to lead you ever closer to her beloved Jesus. This was originally published in the "answered prayers" section, but since this concerns a answered prayer through the intercession of St Gemma for a back problem, I am also posting it here for those interested. When I returned home, I lent the St. Gemma prayer cards, including the one with the relic, to my friend on the retreat team that I told you was having back problems. He is slightly older, maybe in his early 60's, and was still having considerable back pain so I lent him the cards for a week. On the following Tuesday, on my arrival to our meeting room, my friend about raced across the room to me with the cards in his hand saying "The pain in my back is gone". He said "It didn't just lessen slowly, it went away completely and immediately". All I could do is say "Thank you Lord and thank you St. Gemma". Lastly, I say thank you Glenn. I have suffered from terrible back pain due to a work injury over 8 years ago. There has not been one day when I have not been in pain. I happened to google the following and then came upon this site :who is the patron saint of back pain?" I would greatly appreciate it if you would include me in your prayers. The doctors here do not know what to do for me. And all they do is give me pain killers. I strongly believe in the power of prayer and I will pray for everyone on this site as well. May God grant you all health and bless you abundantly. Amen. I just posted the previous comment and then realized that St. Gemma was healed on March 3rd, which is the exact date that I suffered my back injury. I don't believe in coincidence and I believe that God has His own plan for each of us. I offer my prayers for you and your intentions---May God strengthen and guide you, and may He draw you ever closer to Himself. And may St Gemma be your special advocate and friend. I'm 22 weeks pregnant and I recently found out the baby has spina bifida. I've been looking for a patron saint to pray to for our baby girl. I know we can't change her diagnosis and I don't wish it to go away. Baby has a long road ahead of her and I pray for St. Gemma to watch over her as she goes through surgery after she is born and protect her. 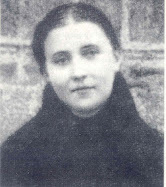 St Gemma is without a doubt an excellent advocate for those who suffer with spinal problems, given all she herself suffered with her spinal disease, having to wear a back brace and having undergone a painful back operation with her spine cauterized in 12 places, which only made her worse, eventually ending up completely bedridden, until her miraculous cure. I pray especially to St Gemma for you and your baby---may God give you strength and courage, and may He lead you ever closer to Himself. And, may St Gemma be your special friend and advocate. I, too, suffer from back pain. I am so thnakful I accidently found this wonderful saint. I will ask her to intercede for me for the relief of this pain. I am also praying for all who have posted on this site. Hi...my dog just pulled me down the basement and i slipped and hurt my back...St. Gemma Bless me! I am grateful and blessed for receiving spirit daily.com by my dear spiritual brother Paul, my dear friend. While navigating I came across the divine story of saint gemma. I too suffer from lower back pain due to an injury that occurred while I was working. I herniated a disk and have been suffering with trying to rehabilitate myself back to health. I truly believe that our lord Jesus stands waiting for me to give myself Completely to himself that he may heal me. The battle for my soul has intensified but I must, with urgancy, commit my ENTIRE self to the MASTER which holds before me fire and water, life and death and asks me with loving compassion, "WHICH OF THESE DO YOU CHOOSE MY CHILD"! St. Gemma's name. I said the prayer she prayed several times, hoping her intercession would help me with the pain and speed my recovery. I went to bed, got up in the middle of the night, not being able to sleep. Laid back down. Did this several times. Finally, I realized the pain was reduced at least 75%! I never expected such quick, amazing help. To me, it is a miracle and had me in tears. My pain is still there, but vastly improved. I have sent a letter to our church's pastor, telling him of this. I am so very grateful to St. Gemma and will do whatever I can to tell people about her. Thank you for your website. P.S. I feel sorry for people who don't have faith; they are missing so much! St Gemma pray for me to recover so that I can be normal again and so I don't have to tell my daughter no we can't do something because of my limitations. Please bless me and others suffering worse than me. Thank you! St Gemma pray for my niece who just underwent back surgery. She suffered severe trauma to her back, neck and brain in an automobile accident. She is in a lot of pain. Pray for her suffering to stop and for complete healing and recovery. Thank you. St Gemma, please pray for my husband Sean! He is in a lot of pain because of unknown back nerve issues. He is trying so hard to act normal for the kids and me, but I know he is really suffering. I pray that we can pray together for his healing so he can be himself again. Thank you St. GEMMA. Oooh! I got hurt at work a few months ago and the MRI showed some vertebral and disc dislocation. My back aches constantly, I'm walking like a camel, and my feet feel like they are on fire. I'm currently doing the Novena to the Little Flower, but out of curiosity I googled "patron saint of bad backs," and ended up with this link. I'm told I have excellent prospects for recovery with an operation, but "SPINE SURGERY" has been preoccupying my thoughts and causing a lot of fear. Is there a novena to Saint Gemma? I want her intercession to reassure me that in God's Holy Hands, all will be well! It is nice to meet you. I am sorry to hear of your spinal injury. However I am glad to hear that Jesus has led you to St Gemma because in her you have found a heavenly friend who can sympathise with your back problems, given all she suffered in this regards. I am sure too that you are inspired by her holy life and her great love for Jesus and Mary. As you have read, Gemma had a most extraordinary love for Jesus; her heart was all on fire with the love of Jesus and she expressed her love for Him so well in her writings. For as you have discovered Gemma is a very "lovable" Saint, and those who begin reading her life and writings (diary, autobiography, letters etc) soon become enraptured and are greatly inspired by this "Gem of Jesus", and many have found her to be a very powerful and devoted friend and heavenly advocate--especially those who like you suffer from spinal injuris/back problems, for as you have read in the article above (and elsewhere on the website) Gemma too suffered greatly during her long illness from a spinal disease, so she can certainly sympathise with what you are experiencing, for as you have read, she had a tunor at the base of her spine which affected her spinal fluid and the physicians thought she had spinal meningitis), anyway, she suffered incredible back pain and migraines and she wore a back brace for awhile, but she was eventually completely bedridden due to the progression of the spinal disease....in January 1898, the physicians cauterized her spine in 12 places, but this only made things worse. It came to a point in March where she was at the verge of death, her physician said she had only a short time left...but Jesus willed otherwise, and she was cured by Jesus on the first Friday of March (Sacred Heart) during which Jesus appeared to her, some of which is detailed in the article above, and also in some of the other articles on this website. To reply to your question, yes, there is a Novena in honor of St Gemma--you can find it on the right hand column in the "Prayers/Novena" section on any page of this website. In closing I pray that St Gemma may intercede and help you with you spinal injury, and may she lead you ever closer to Jesus. I was in a horrible car accident when I was 15 years old. I'm deaf in my left ear and have horrible back pain I deal with daily! The whole left side of my body has pain due to my spine pressing on nerves that mess up my left arm and leg. I have no insurance. There's nothing I can do for it. I lost my mother at such a young age and have wished she was here to help me with my two young children because I'm divorced and I have no help. I've had horrible temptation due to my pain. I converted 2 years ago and just came across this site last night. I was hit by a lady in her car this last Monday and it was a hit my body could not take. I'm in so much pain and lay here crying. 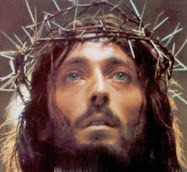 This is who I'm asking to intercede for me. 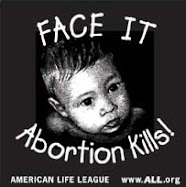 I need my life back for my children's sake! I am very sorry to hear of the car accident and the injuries that you received from it, which unfortunately worsened the injuries that you already had. -St Gemma, pray for us. Thank you St. Gemma and Our Blessed Mother! I owe so much to you both! You Ladies and my beloved grandfather watch over me each and every day! GLORY BE! Please st gemma hear my prayer and please answer it. Thank you. Lots of Good information in your post, I favorited your blog post so I can visit again in the future, Thanks. I would like to post a thank you to St. Gemma. She has been answering my prayers for myself and my family for over a year now. A deep grtitude to a new found friend. Thank you for everything St. Gemma! My friend informed me of St Gemma, I am pleading for relief of back pain and leg pain. Please St Gemma - pray for me. I will pray for everyone on the website enduring pain. St Gemma, through your prayers, may the Lord find me worthy of relief from my back pain. I am very sorry to hear of your spinal disease and the suffering that this has caused you--I pray that Jesus may strengthen you and may He heal you, if such is His holy will. In the end, whether you are healed or not depends on the holy will of God, for He arranges everything for the good of our souls, and those of our loved ones. I can assure you that if you continue to pray to St Gemma, she will always be very close to you, and will help you in your sufferings, and she will obtain many, many graces for you from Jesus and Mary. Do you know of a novena to St. Gemma? and look for the section entitled "Prayers/Novena/Mass"
you can just do a Google search for "St Gemma Novena" and the novena from this website will be the first one to show up. Thank you Glenn Dallaire or the Novena information. God bless you. I have been suffering from spine pain for many years. I underwent cervical spine surgery in 2001 and I am facing a second cervical spine discectomy and fusion in nine days. A dear friend of mine recommended that I look up the Saint for back illness and pray to that saint and to do a novena. I am not Catholic, nor do I attend church.I am a strong believer in God and pray often. Last night was my first prayer to Saint Gemma. I awoke from a dream in the middle of the night...it was so beautiful and felt so incredibly real that I did not ever want to awake. I dreamt that there was a single white dove resting on my lap or chest and I was petting its beautiful SOFT feathers and at the same time I remember the feeling of being held or hugged like spooning.. Someone was laying behind me with his arms wrapped around me and the name John came to me which is the name of my deceased father and also an x boyfriend that I have not seen in over 20 years. I do not ever remember seeing or reading anything relating to white doves before in my life. I know that two white doves are significant in symbolism of love. What can this all mean?? Tonight I will start my novena to Saint Gemma. I have new found hope and faith. I just found out that a older Catholic friend of mine needed a second surgery on his lower back. Finding St. Gemma and her "beautiful" inspiring story will be of good comfort to him in his rehabilitation and recovery,if it be God's divine will!! Keith is his name and I'm asking all people of faith to pray for him, he has a good heart. Anon, and peace of Christ be with you! I have also heard that St. Gemma is the patron saint of headaches/migraines. I have been suffering from chronic migraines for 5 years now. I have explored many treatment options at this stage, and nothing seems to work long term. Coincidentally, I am a neurosurgery PA and spine surgery is our specialty. We really do try and help as many people as we can, but sometimes people are left with chronic pain after fusions and reconstructions. I will pray that St Gemma guides my hands in surgery, and that she also gives me the compassion that I need to take care of my patients. I will also ask for her intercession to help me with my migraines, so I can continue to help others. Regardless, I am still very blessed!! My prayers go out to all those suffering from chronic pain! God's blessings to everyone, and may the Holy Spirit always be in your hearts! Thank you for sharing with us. Good article. Thank you so much for sharing this with us. Have been suffering from severe back pain for almost 6 months now. Something about reading this gives me the courage that St. Gemma will not leave me suffering for long and God almighty has plans for my pain. Dear Lord, Please send the Holy Spirit to guide me in knowing the right thing to do for my daughter. She has so many challenges to face (scoliosis, learning disabilities, anxiety). Give us strength to know and accept your will. St. Gemma please guide my mother who is suffering immense pain. It is difficult for her not to feel punished for so much has happened to her. Please be there. God bless. St gemma please take away all my pains im suffering with this in ages I need your help please amen. O, Most Holy St Gemma, I plead with you to heal my waist pains now and for ever more and give me perfect health now and for ever more, in the Name of Jesus Christ of Nazareth. Amen. St Gemma, intercede on my behalf and ask to heal my back pain. In the name of the father, son and holy spirit. Amen. Please pray for My WIfe, Trena and I. We have hit some hard times. A long time diagnosing autoimmune disease has played a role in our struggles. I love my wife and we need all the prayers we can get to help her, us and our family. I am 42 years old and living with my mother just because I have no stability to work for the last 13 years. I am short tempered and my wife left me and we are living separately for five years and she taken daughter with her. I need holy spirit to be strong to love all even if it my enemy. I need financial growth in my career to do my responsibilities. Please pray for my past wrong life and for the mercy of Jesus upon my life, job, family and in social life. Also pray for my knee and back pain very rarely some day may come and go. Gemma was not cured. She died of tuberculosis in 1903 at only 25 years old. Your premise is faulty and illogical. What you are saying is the same as saying that none of the people that Jesus cured in the gospels were actually cured, because they all died sometime later. Healings/cures are only for a time--God cares and concerns Himself primarily with one's immortal soul. I have suffered horrible back pain for 28 years and as I get older it only gets worse. Please pray that I may get some relief. Thank you. What a gift your websites are! May you be blessed in the name of Jesus for this is truly a labor of love. Through the Holy Spirit, I have recently come to understand that St Gemma has been a heavenly friend to me throughout my life. And your site has provided me with such a wonderful resource, without which I may not have had the opportunity to learn so much about the little passionflower. I'm so grateful and now ask her to pray with me everyday. Thank you for your comments. It is great to hear from you. And thank you for sharing a bit of your spiritual journey with us. As for St Philomena, how could one not love her? And, when I think of St Philomena, I can't help but think of St John Vianney's (the Cure of Ars) tender devotion to her. I am happy to hear of your devotion to St Gemma and that you are enjoying the "St Gemma Galgani" website! I hope that you continue to find the stories in the life of Gemma to be edifying and inspiring, and may St Gemma be very close to you and may she lead you ever closer to Jesus and Mary! I find myself looking through your website again, as I have had it bookmarked for a long while since I found it a few years back. Concerning St Gemma as a patron saint of back sufferers and healing through her intercession, I just wanted to tell a brief story. I suffer lots of pain from many broken bones in my left hip & leg, in a bad motorcycle accident years ago. I have lots of metal in me with rods and screws. I also have back pain going on 35 years now. I was on painkillers 24/7 and fentanyl pain patches and was addicted, but now quit them. I don't remember the last time I ever slept 8 hours non-stop. My nights are usually 4,5,to 6 hours of sleep per night, always awakened. One night my back was in so much pain and it was very late and could not sleep, I was at the point of tears. I got up and prayed to St Gemma to please take my pain away and get me to very much needed sleep. I went back to bed and fell right asleep. (I can lay in bed for hours till I fall asleep)I woke up in the morning and I did not feel a single pain throughout my entire body. My back, leg, hip and other parts were completely painless. I got up thinking it was 7:00 am like usual. I looked at the clock and it was 11 AM! I must of slept at least over 10 hours without waking up once. I still have the pain every day & night, and accept these pains, but I have prayed again on the bad nights and she is always there to help me through again. Its great to hear from you. Thank you for sharing the story of St Gemma's intercession in your life here. I pray that St Gemma may always be very close to you and may she always be your advocate and heavenly friend. My teen aged daughter has had scoliosis since she was 6 and spent many many challenging years wearing a back brace. A couple years ago, although she was done wearing her back brace, she chose Gemma as her confirmation name since because of the connection to the spine. She had originally wanted a saint associated with dance because that is a big part of her life, but Vitus was a man. So she then searched for the saint of back's and found Gemma. It was either divine or coincidence because Gemma was a favorite name of hers that she said she'd love to name a child. We had no idea she was also a saint. Furthermore her beautification and canonization dates match birthdays of people in our family and she was born in a town that our ancestors came from (and some apparently still live). Now my daughter is facing major spine surgery...I am glad I found this website to remind me that we can pray to St. Gemma as my daughter goes through this journey. I just learned of St. Gemma today by googling for a friend with severe back pain and upcoming surgery. I have back pain as well and will pray for her intercession on my behalf. Thank you for this site. God bless you all. Always thanksto St.Gemma for her intercession and healing. St. Gemma, Please intercede on behalf of my boyfriend who just learned he has a tumor in his lower spine. This is a preliminary diagnosis. I pray in Jesus name also for Healing and Blessings for this wonderful man as is willed by God. Thank you!